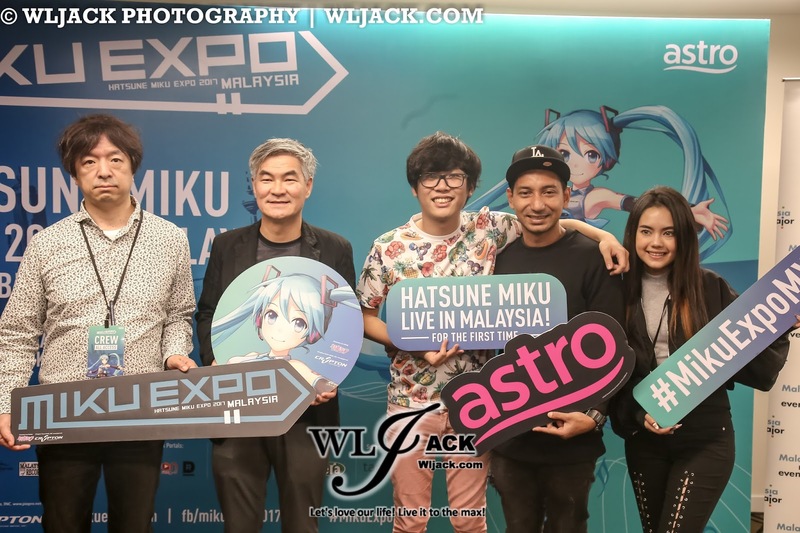 Kuala Lumpur, December 2017 – It was a dream came true especially for the Hatsune Miku’s fans as they were treated with a first-time ever live Hologram concert of the virtual singer at Axiata Arena, Bukit Jalil on 16th December 2017. Our media team from www.wljack.com has been given an opportunity to do a coverage on such a memorable concert. Press Conference before the show! 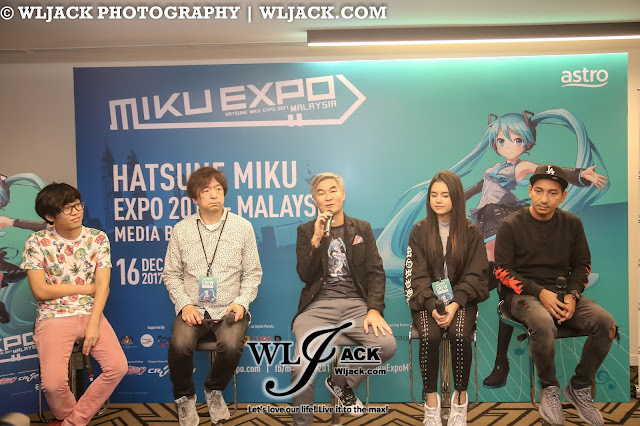 Prior to the show, we have had our press conference and meet ups with the people who made this show a reality to the Malaysian fans. 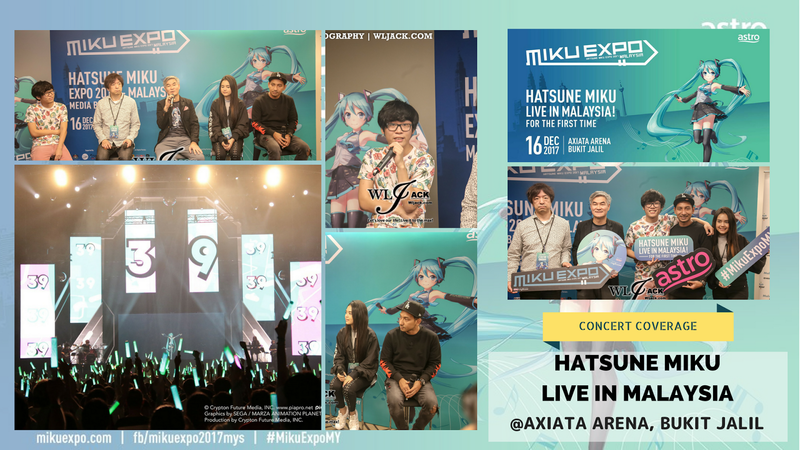 We were also being introduced to Tamago app which live-streamed the first-ever Hatsune Miku Expo 2017 in Malaysia. “We are excited to live stream the Hatsune Miku Expo 2017 on Tamago, thanks to our partners Crypton Future Media, INC and Digi. 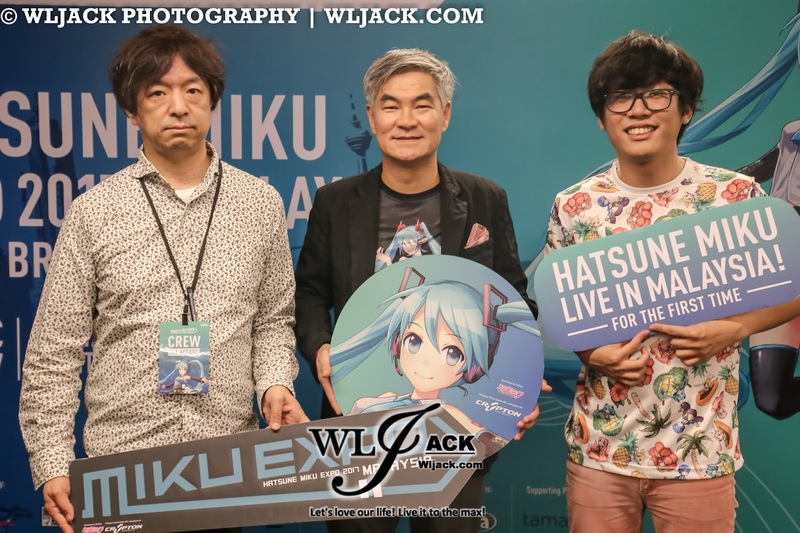 As there are millions of Hatsune Miku fans across the globe, those who are unable to attend the concert will get to experience this concert via Tamago. The concert live stream will be available to everyone. Just download the Tamago app and tune in to enjoy,” said Henry Tan, Chief Content & Consumer Officer, Astro Group. "This year Hatsune Miku reached her 10th anniversary. Over these 10 years, she sang hundreds of thousands of songs, was featured in millions of illustrations, and entertained us in many ways. 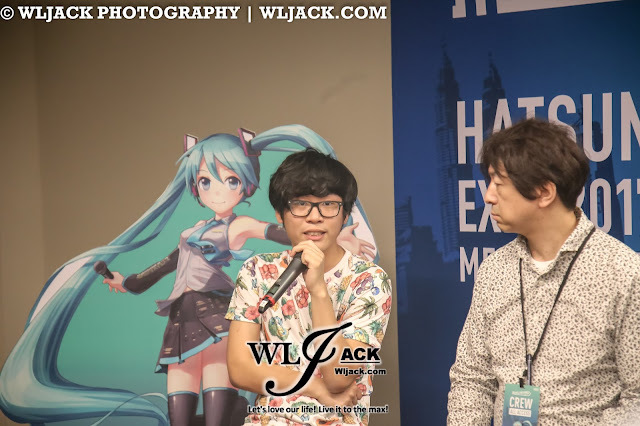 This was all made possible by the contribution of the millions of creators who have been supporting Hatsune Miku. 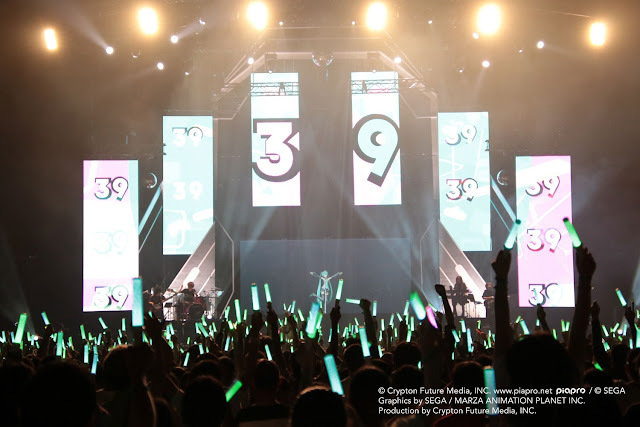 The Hatsune Miku Expo events were designed to present, in addition to live concerts, works by different creators, and we hope it can be an opportunity for anyone to enter the “chain of creation” around Hatsune Miku. Please make the most of this first and last Miku Expo of the year!" mentioned Hiroyuki Itoh, CEO, Crypton Future Media, INC.
Hatsune Miku Expo 2017 in Malaysia is strongly supported by Malaysia Major Events, a division of Malaysia Convention & Exhibition Bureau (MyCEB), an agency under the Ministry of Tourism and Culture Malaysia. Hatsune Miku Expo 2017 was something that was really anticipated by the Malaysian fans. After 48 performances in 7 countries around the world, it has finally arrived in Malaysia for the first time. In addition to that, it was also awarded “First Live Hologram Concert” in Malaysia by The Malaysia Book of Records. 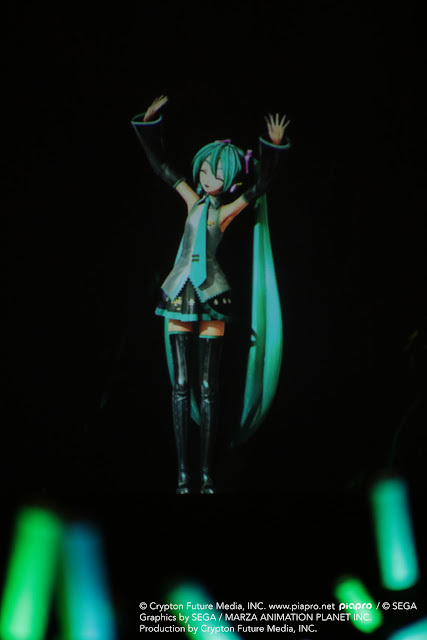 There were many pre-concert activities including; official merchandise booths; a session with the popular guitarist and VOCALOID producer, DJ Kurage-P; Hatsune Miku Kinect and Virtual Reality games; photo opportunities with a life-size Hatsune Miku figure; a special Miku Figurine Corner for avid collectors; a drawing wall for the artistic at heart; and, an info wall with exciting trivia about Hatsune Miku. Many fans of Hatsune Miku have surely taken part in all these activities. This highly anticipated concert was streamed live globally for free on Tamago, Southeast Asia’s newest social live streaming app. 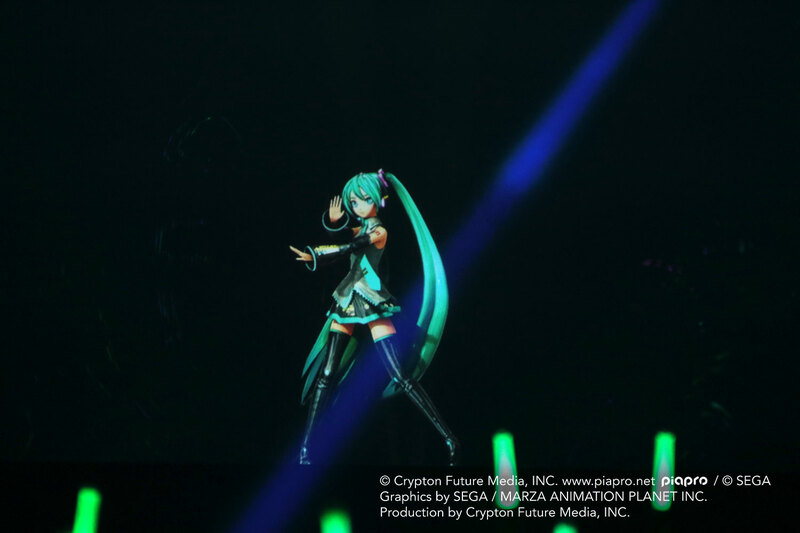 It was viewed by fans of Miku worldwide who could not physically attend this awe-inspiring performance. Apart from that, we also get to meet and greet with the guests for opening acts including Malaysian Superstar, Zizan Razak and upcoming YouTube star, Chaleeda Gilbert. Prior to the start of the hologram show, we were entertained by Zizan Razak and Chaleeda Gilbert’s performances which were an additional bonus for those who have attended the concert. 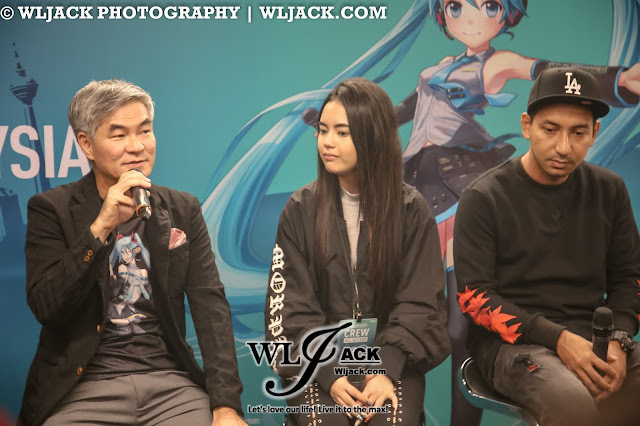 But most importantly, everyone was delighted as they saw their favourite teal-haired 16 year old cyber celebrity from Japan, Hatsune Miku took over the stage. Thousands of fans witness record-breaking concert organised by Astro & Crypton Future Media, INC.! 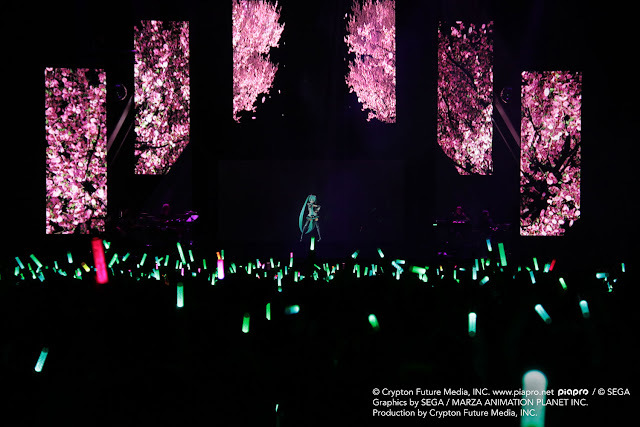 The concert has featured many upbeat music from Hatsune Miku, her friends and the band. The crowd was very excited and most of these can be seen with their active waving of their Miku LED Light. In fact, they even knew when to switch the lights to different colours as different cyber singers took on stage. Hatsune Miku performed almost 30 songs including fan favourites, The World is Mine, Tell Your World and a few cover of Malay songs. The fans definitely can’t get enough of Hatsune Miku as they stayed behind after the mentioned “last song” and requested for an encore. Well, Hatsune Miku has granted their wish and came back on stage performing additional few encore songs for the crowd. Overall, this show was really a very spectacular concert. In fact, one of the best I have seen this year. Really glad to be part of the crowd who have witnessed The First Hologram Concert in Malaysia featuring the beloved Hatsune Miku.